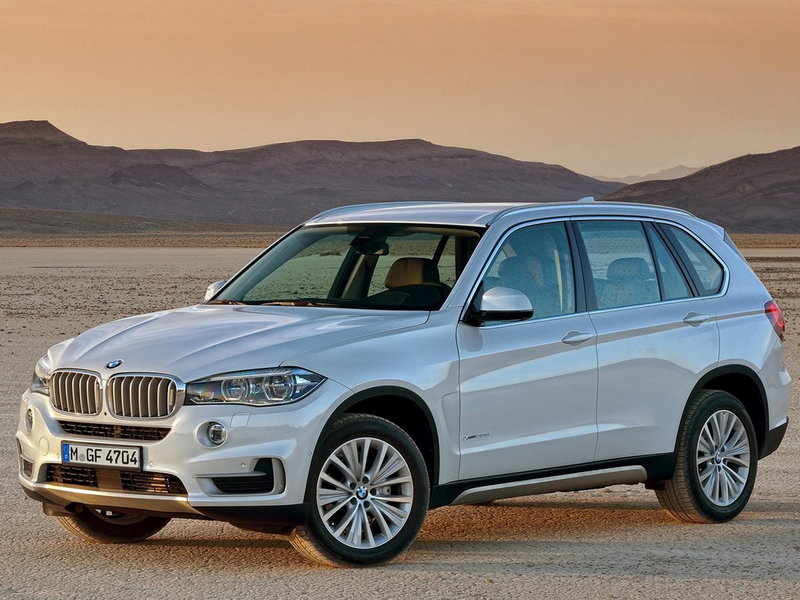 The BMW F15 is third-generation BMW X5 mid-size crossover SUV. 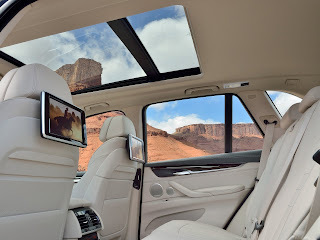 It was presented to public on 30 May via BMW press release. 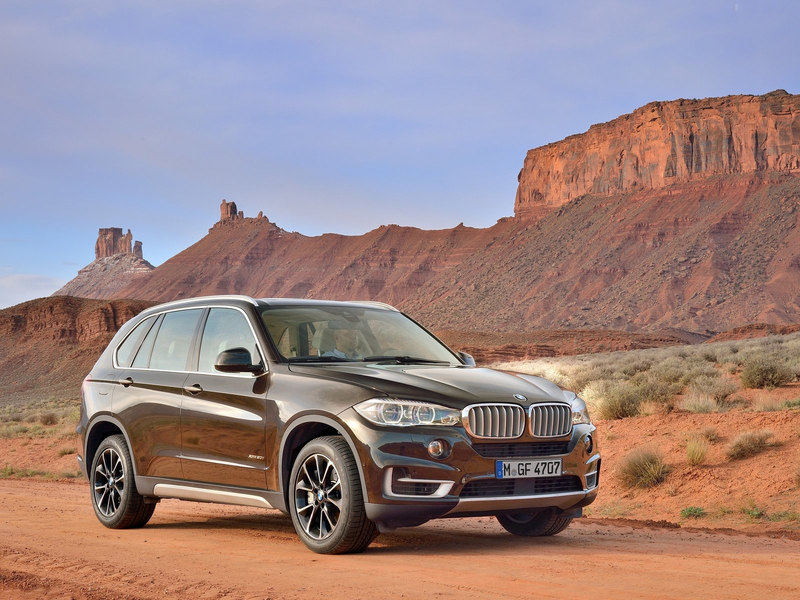 It will replace the BMW X5 (E70) in mid-2013. It will be built alongside the BMW X6, BMW X3 and BMW X4 at BMW's Greer, South Carolina plant in the USA. 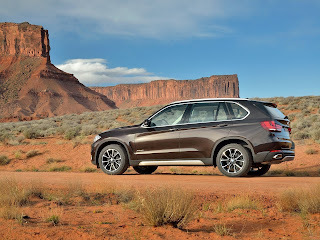 The new generation BMW X5 is 5 mm (0.2 in) wider, 26 mm (1.0 in) longer and 14 mm (0.6 in) lower than E70, but wheelbase remains at 2,933 mm (115.5 in). 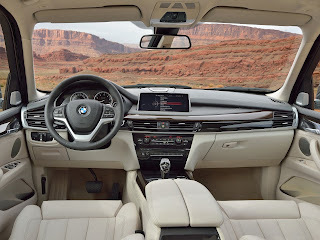 At the front F15 takes design from F30 3 Series while at the back it's similar to other current X series models. The interior now features 10.25 inch display. 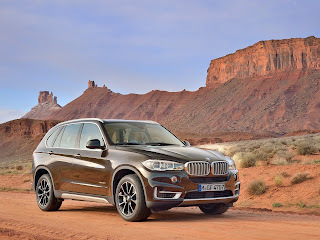 BMW claims new X5 is made of ultra-high-tensile steels in the body structure, thermoplastics in the side panels, aluminium in the bonnet and magnesium in the instrument panel support make the new BMW X5 lighter. 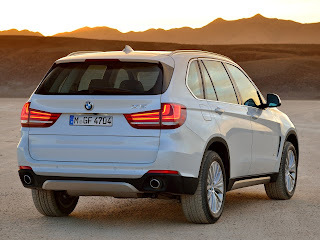 Depending on the model, the new X5 is as much as 90 kg lighter than a comparably equipped corresponding model from the previous X5 generation. The powertrain of the new X5 has already been used for a couple of years in other BMW vehicles; however, apart from standard I6 and V8 engines, the F15 will be the first X5 available with a four cylinder diesel engine. The F15 will also be the first X5 available with a rear-wheel drive configuration. All models include an 8-speed Steptronic automatic transmission. Last updated on 14 July 2013 at 19:11.